Can you believe a life without Netflix, well that would be depressing? There’s much more to it than meets the eye that you can do with your Netflix subscription other than just binge watch house of cards. How’s that you ask? 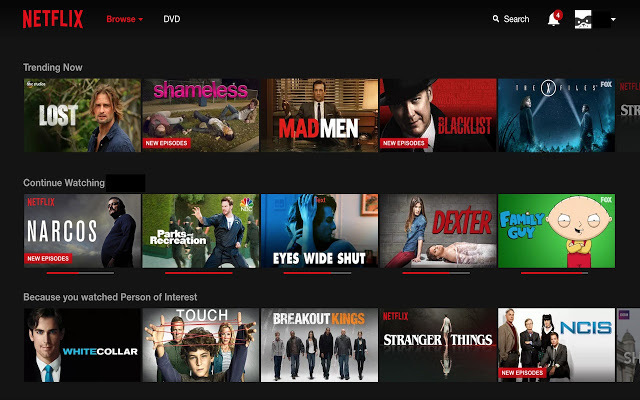 Well, we have 9 chrome extensions for Netflix that will make your “Netflix and chill” way more enjoyable. With a plethora of movies and TV shows coming out on Netflix every month, sometimes it’s hard to decide what to watch next. Yes, Netflix does provide their own ratings, but I prefer IMDB ratings over this. Earlier I was using chrome extension like NEnhancer and Netflix Rate extension, which add IMDB and Rotten Tomatoes ratings to the Netflix desktop. But, after a recent Netflix update, none of them seem to work. Unfortunately, Rotten Tomatoes ratings don’t work as good as IMDB. 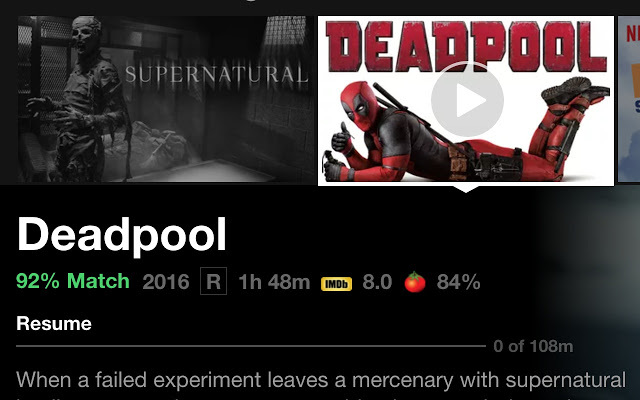 To start with, the current version of Rateflix only shows the Rotten Tomatoes ratings for movies alone (not for TV shows), and even that doesn’t work quite well. But then again, none of the other similar chrome extensions have worked accurately. So, I’ll take what I get. Netflix by default provides you few keyboard shortcuts, like, ‘M’ – to mute the audio, UP/DOWN arrow keys to increase and decrease the volume of the movies or show you are watching. But, if you would like to extend this functionality, try Netflix Tweaker. 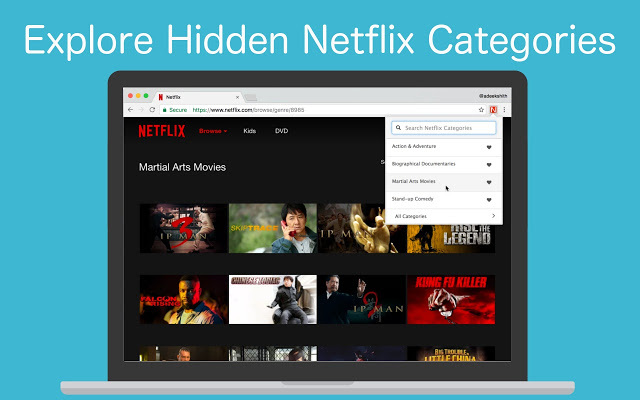 This chrome extension adds 4 new keyboard shortcut to your Netflix experience. Now, I’m a little late to the party, as this was a big hit a few months ago. But anyways, if you don’t already know, Netflix has a secret list of categories that are much more niche than the big buckets like Action, Drama, Documentaries, you know the things that you see on the home screen. All you have to do is go this following URL http://www.netflix.com/browse/genre/### and replace the # sign with the secret code like 25804 is code for military TV shows. Similarly, there are hundreds of secret codes and it’s not possible for any of us to remember them. 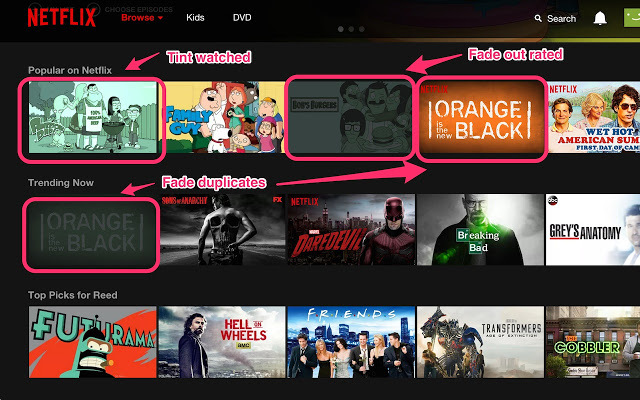 Guess what, “Netflix Categories” links these secret codes to a simple interface. Once, installed, simply click on the extension, scroll through the genre. You want to watch and click on it. Adds links to IMDB, rotten tomatoes, YouTube etc. Say, you are in the middle of a show and click on the playlist button, then Netflix shows a small thumbnail of the next episode. This could possibly reveal a spoiler, what if some character is getting shot in the head. You don’t want to know that, and what this extension does is it blacks out the thumbnail for you to avoid it altogether. Similarly, on the homepage, it’ll fade out the shows that you have already watched. Which obviously you can customize from the options page of the add-on. And when you hover over the title, you see quick links to popular sites like IMDB, rotten tomatoes, youtube etc, clicking on which will open the relevant page for that particular title. Those are some of the imp features within flix plus, there are much more like keyboard shortcuts and what not, try it out yourself to know more. You can unblock Geo restriction on Netflix, for free. But, it does come with its own set of problems. To start with, since Ultrasurf servers are based in the US, I wouldn’t trust them with my data. And, even though, it does play videos that are outside my country, like say, the office, the browsing is really slow and of low quality. Long story short, if you want to get rid of Netflix content blocking, you’ll have to shell out money. One choice is to get paid VPN like – Express VPN ($15 per month), Nord VPN. And frankly, that works quite well. But, they are quite expensive and often too slow. A better alternative would be to go with Smart DNS Proxy. It’s relatively cheap, and a lot faster than a VPN. It cost $5 per month or just $2 if you pay for 3 years up front. At smart DNS proxy, you can get a 14-day free trial, which requires No credit card. 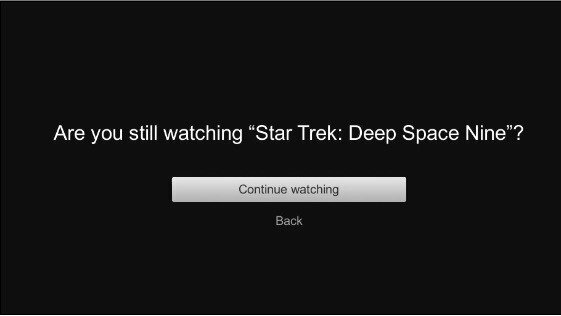 Sometimes, Netflix displays an “are you still watching” prompt that blocks playback until you confirm manually. While this is useful sometimes, but more often than not, it’s annoying. Netflix Pause Removal is chrome extension ( also available for Mozilla Firefox) that automatically bypass the “are you still watching” prompts. The only browsers that support 1080p playback on Netflix are Safari on macOS and Internet Explorer or Edge on Windows. 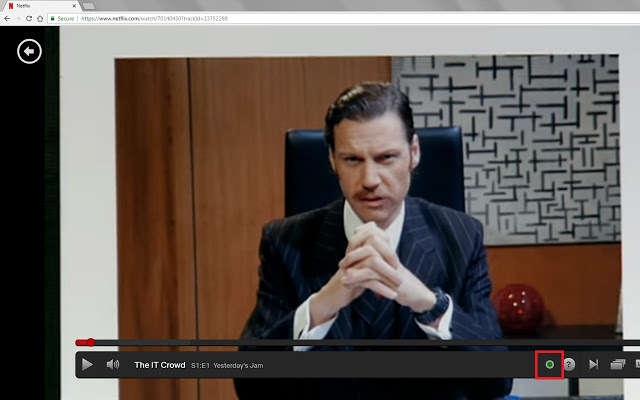 If you use Chrome, Firefox, or any other browser, all you get is 720p on Netflix. There is no option to improve the quality to 1080p, even though you are paying for it. 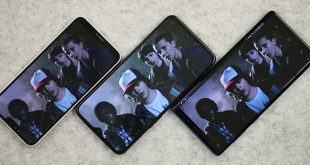 Netflix 1080p, a new browser extension for Google Chrome ( also on Firefox), that will enable support for 1080p on Netflix. You can read our full guide on how to set it up here. If you are like me who don’t like Netflix auto-playing the trailers on the home page, then this extension for you. This Chrome and Firefox extension blocks the auto-playing trailers from playing automatically in your browser. The name says it all. 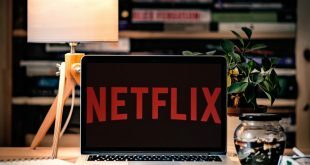 Last month, January 2019, Netflix released 38 originals, can you believe it? And most of them were not the very best IMO. 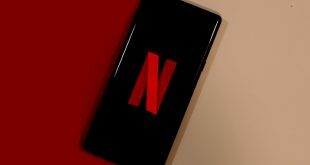 As you have guessed from the name, this chrome extension ‘No Netflix Originals’ hides the extraordinarily large pane of original content from the site’s homepage. 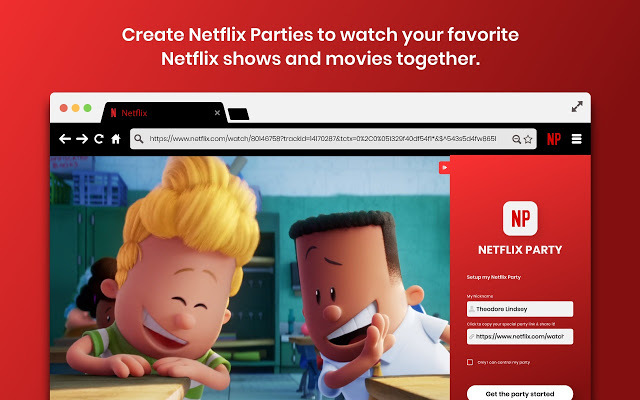 Netflix Party is a Google Chrome-exclusive extension that lets you watch Netflix with your significant other, who is not in the same room as you are. The way it works is pretty simple, choose a movie or show, you wanna watch together, then click the red “Netflix Party” button at the top of your browser to get a link to a shared session. Share it with your friend. Let’s try incognito for this. They will still need a Netflix account, which I’m sure you are already sharing. The cool thing about this extension is that it only requires one person to install it.